A service which lets a group send messages, share photos and updates; Beluga has been acquired by Facebook. Best thing: available for android as well as iPhone + totally free!!! Disney acquired Rocketpack, which gave first HTML5 Facebook game. 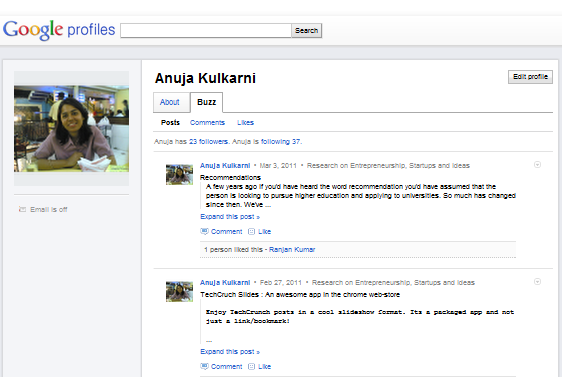 Kuliza acquired GizaPage which pulls real-time social media content into your website. Both are Bangalore based companies. Egnyte, which provides business-class online storage solution at a cheaper cost received funding. The company developing Family Village yet-to-be-launched Facebook game, Funium secured funding; expected to launch in coming 2-3 months. DynamicOps grabbed good amount. Its softwares automate the delivery of IT services and has cloud automation. ProspX- a collaborative platform for insurance industry, received funding in series B round. Syncapse which provides social media management services and product got funded. To talk about new products there a lot this week. Lets discuss a few of them. Cooliris has come up with cool immersive 3D ads for iPad in partnership with InMobi. Similar ads for iPhone and Android will be launched soon. Good thing is the ads are very light-weight and interactive. Mobile payments startup Square will be processing $1 million mobile payments everyday..very soon. Noteleaf service has been launched. It enhances Google calendar for entering more info and sends you notification as a text message on mobile with all the info just before your scheduled appointment. Apple CEO introduced iPad 2....I'm keen to see how the market responds to this new device! Microsoft's search engine launched Bing Deals for mobile as well as PC. About 1.5 lac Gmail users were stunned to see their emails attachments and chat logs missing. Finally got recovered. 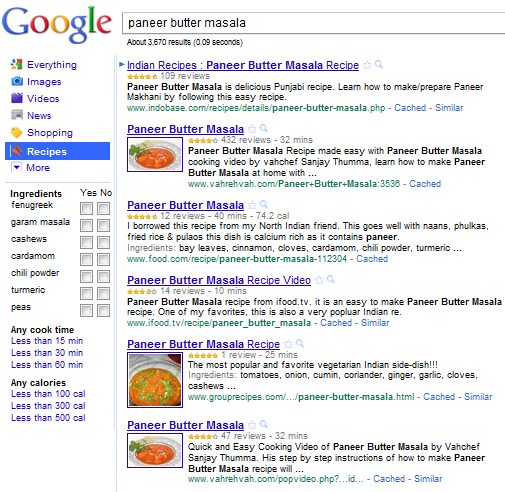 While I was still engrossed enjoying the new Google Recipes(you can opt not to go for certain ingredients! 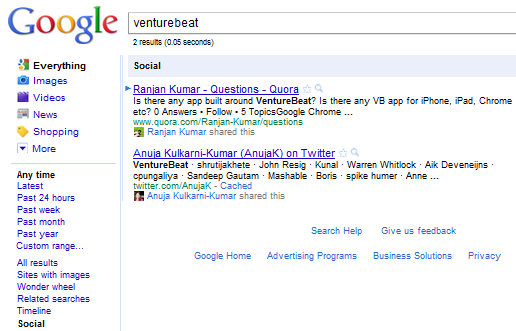 ), Google introduced new Google Profiles.